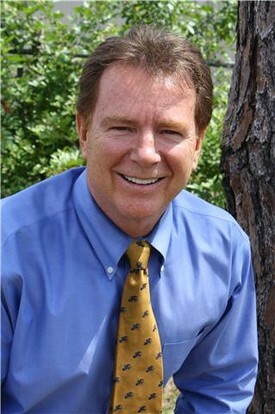 Dr. Timothy Mattingly practiced general, restorative and cosmetic dentistry in Winter Park for more than 30 years under the philosophy of putting the welfare of his patients in the forefront. Believing that optimal dental health can be achieved through a combination of preventive care and education, Dr. Mattingly spent a great deal of time with his patients to help them understand their unique situations and the options available. His staff of trained dental professionals-some of whom have been with him for more than 25 years- routinely conducts cancer screenings as part of the comprehensive dental exams. The office is fully equipped with state-of-the-art technology such as digital X rays, intra-oral cameras and CEREC, which crafts ceramic crowns and onlays onsite. Dr. Mattingly received his Doctor of Dental Medicine from the University of Louisville, and completed a mini-residency in the treatment of temporomandibular joint disorders at the University of Florida. “I consider a team approach to be the heart of my practice,” said Dr. Mattingly, who actively participated in professional study groups such as Central Florida Implant Study Club and the Seattle Occlusal Study Club. In addition to running his practice with an attitude of encouragement and care, Dr. Mattingly took his philosophy of helping others outside his office. He frequently participated in volunteer opportunities to donate his time and skill to people who may not have access to dental care. His wife of over 34 years, Joan, and their three children were an inspiration to him.